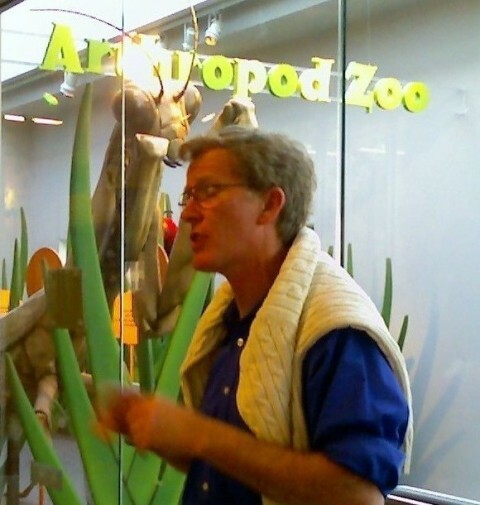 Roy Campbell, Director of Exhibits, gave a tour of the North Carolina Museum of Life Sciences to a group of science-bloggers. Above, he’s telling us about the arthropod festival before an impressive model of one of the larger arthropods, a preying mantis. Hmmm, I don’t have a picture of the real catacombs, where scientists work for weeks and months with tiny drills and picks to liberate fossils from their stony beds; but I do have few pictures of the sub-basement, even lower, where research materials, specimens not on display, and yet-to-be-liberated fossils are stored. …. 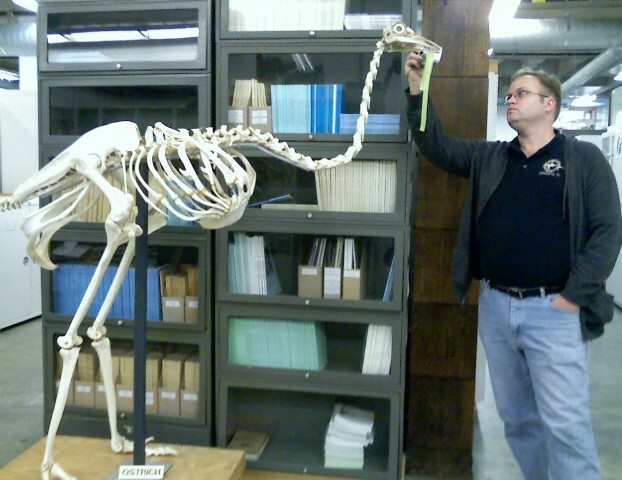 First, there’s a science blogger looking an ostrich skeleton in the eye. …. 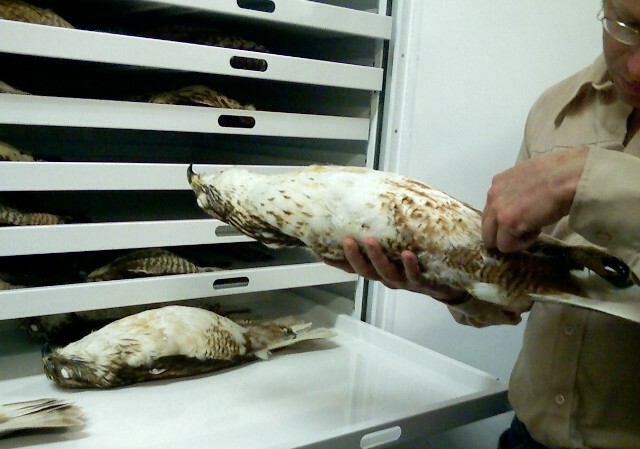 Here’s a science blogger inspecting the museum’s collection of hawk skins. …. 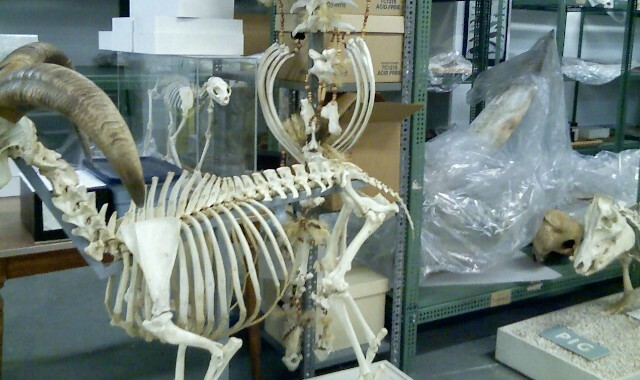 Some skeletons were too large for the cupboards. …. Especially the bones of a right whale. 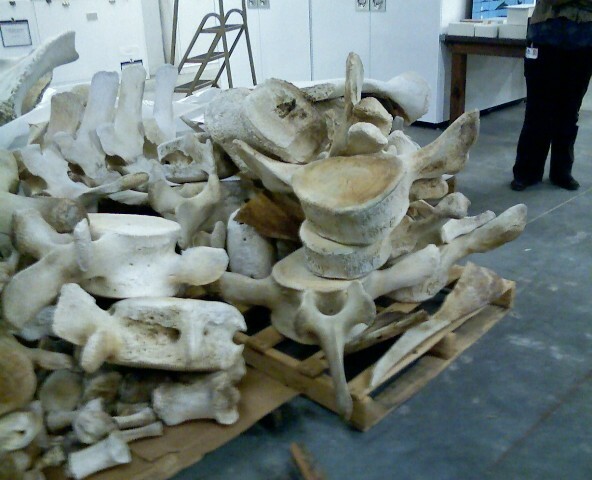 ` Indeed, right whale bones do not generally fit in drawers. ` My cat is lying on my arm! Weirdo…. I wonder what would happen if the two giant praying mantises got together?